Polaris Family Dental offers cosmetic dentistry to residents of Columbus, OH and the surrounding communities. Our office is experienced in crowns and veneers to help restore the appearance and function of your natural smile. We offer different options in cosmetic dentistry restorations to meet the needs of each individual patient. Veneers are a fantastic way to improve the aesthetics of your smile. Used by celebrities all the time, veneers are one of the most impactful ways to drastically change the appearance of your teeth. In just one procedure, you can completely change the appearance of your smile. 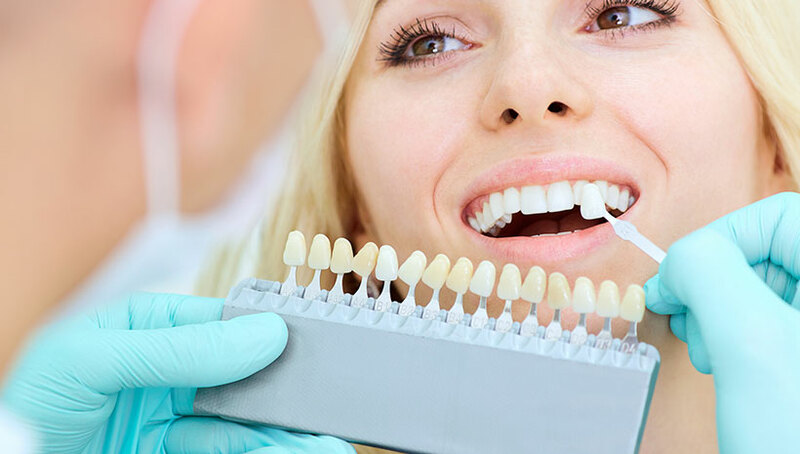 Veneers are composed of a thin layer of white acrylic shaped to fit over your natural teeth. They are carefully made and mimic the natural shine and texture of natural teeth. We bond them to the front of your natural teeth, resulting in a complete smile makeover. This entire transformation can take place in only one appointment, and the results are much more durable and long-lasting than other bonding options. If you’re unhappy with the look of your smile, consider veneers to transform your teeth into something you love. If you have teeth that are damaged or missing, crowns and bridges can help restore the appearance and function of the teeth. When only one tooth needs restoring, crowns offer a natural-looking, metal-free solution that will look and act like your real tooth. If you have multiple teeth in need of repair, a bridge can securely fit over multiple teeth, allowing you to drastically change your smile’s appearance and restore your confidence. If you’re not sure if crowns or bridges are the right cosmetic restoration for you, schedule a consultation with Dr. Winner. She is happy to go over our many treatment options and get you feeling your best as soon as possible. Do you want to transform your smile? Consider our effective cosmetic dentistry procedures. Contact Polaris Family Dental today to schedule your initial consultation!